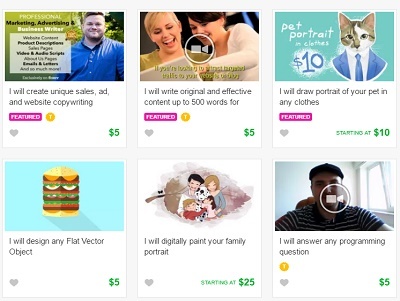 Fiverr is the best freelancing platform to start earning but it requires struggle to start selling.You might be struggling to decide what you can sell on Fiverr.Today in this post I will share some of the easy Fiverr Gig ideas to make the struggle easy for you so that you can start making money online in no time.You need to be creative to start selling on Fiverr.You might not like these ideas but these are priceless for some people and they are buying it.If you have the passion to work you can also be among top rated sellers which are earning big.Ok so now LETS JUMP STRAIGHT IN! What place are you located in? and what are some of the unique attractions near where you’re located if you think about this this can produce a great date idea for you.One of the top sellers Arjunrocks is able to make himself successful on Fiverr by offering a couple of these gigs that are related to doing things in front of a landmark.Taj Mahal is near where he lives and so are other palaces and historical attractions.I have the same opportunity if I wanted to today to film in front of a historical place like Multan Fort where I live.So search for some unique places around you and create a unique Gig. Also Read: How To Create An Attractive Profile On Fiverr? Ideal thing to do is start with an inventory of yourself to just take like a Microsoft Word document and sit down and say what do I know? If your first response is nothing then try again take a little deeper you might be surprised at all the things you know how to do. If you’re having trouble figuring out what skills you have you might be able to use something you’ve already created somewhere online.It could be your any profile like Linkedin where when joining you shared your skills.You can look and create a gig around the skills.It could be any work you did for your friend or an office task you did for your father.The creativity gets easier when you have something simple you already put a lot of time and effort in to draw from. If you want to get great ideas for a gig it might seem common sense to just look at what other people are doing.Just open Fiverr and see which services are trending on Fiverr to take an idea.Match other sellers skills with your skills.Like when opened Fiverr the featured gigs were about designing a Business Card, brochure for business.Now when I googled ‘how to design a business card’ I came to learn it is done in Adobe Illustrator / Photoshop and you can design your own card by downloading various template files of different designs.There are hundreds of websites providing these templates for free.Now by watching other people on Fiverr I just got a Fiverr gig idea.Watch people offering services and search how they do it. 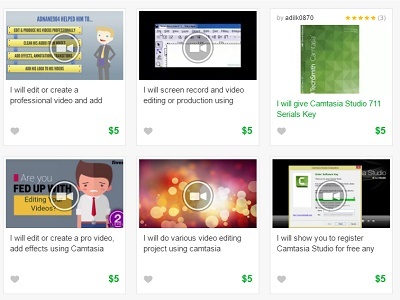 First of all Taking myself as an example.I am a video Tutorial maker and I make video tutorials using Camtasia and then edit them through Final Cut Pro.So I have skills in making video tutorials i.e screen capturing and video editing.Since when I’ve hunted my skills I’ll simply search ‘Camtasia’ on Fiverr and see only 7 gigs about it.Now this is an area of low competition and buyers are ordering gigs in this demographic.Furthermore this is a great Fiverr gig ideas as buyers will need a thing exteremly specific.Fiverr search is very helpful for you. Also Read: How To Make International Calls For Free? 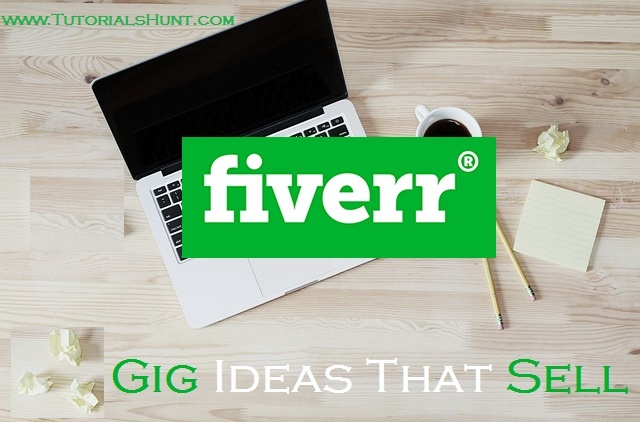 So I hope you enjoyed this post regarding Fiverr gig ideas and I wish you success for your Fiverr journey.Also Happy Freelancing.